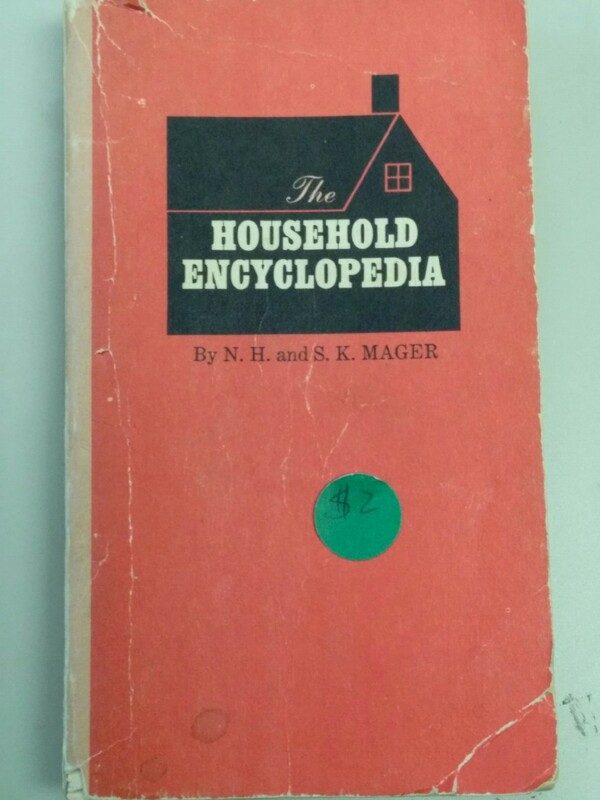 About five years ago, I purchased the “Household Encyclopedia,” edited by N.H. and S.K. Mager and printed and reprinted between the early 1950s and 1970s. I was mainly drawn to this book for its historical insights into past housekeeping. As you can see, I paid only $2 for this copy at a used book store. Really? A strong ammonia inhalant? Try consulting a doctor for noxious fume effects! Described by various dictionaries as a psychological disorder with symptoms ranging from convulsions to a trance-like demeanor to extreme stress, the word hysteria brings to my mind black-and-white movies in which the (typically) young woman is “slapped” by a close friend, relative, or doctor to bring her back to her senses. The crazy ammonia treatment aside, this “ailment” of hysteria seems to be a fairly common malady in Romantic and Victorian English literature (even in American Realism). The narrator of “The Yellow Wallpaper” by Charlotte Perkins Gilman comes to mind, as does Mrs. Bennett in Pride and Prejudice by Jane Austin. Hysteria sometimes is referred to a nervous problem. Before last year, I would have laughed off this entire malady as fiction, a phase, or over-dramatics. However, one of our residents went through a period with many of the symptoms expressed above. He was put on some anti-seizure medication that the doctor later realized was too strong for him, causing many of the symptoms. Before that realization, the symptoms went on for several weeks in a row. Interestingly, some staff were solicitous (overly doting),and it only seemed to cause his symptoms to increase. One or two staff spoke firmly, something to the effect that he needed to get control of himself, and it actually seemed to help. Once the doctor took him off the anti-seizure medications, it all went away. I believe the memoirs of those who lived long ago (and even the fiction) are of real people with real, not imagined, life situations. I am intrigued by their beliefs and reactions, but believe we have not really changed that much. Just like today, some maladies were physical, some chemical, and some spiritual. She indicates that the doctor (who is her husband in the story) does not believe she is really sick. This may come across as if I am against doctors, which is far from the truth. It is just interesting to hear her viewpoint. Was this the viewpoint of the writer as well?